"Pattonville High School continues to be a high-achieving school because our students and staff work hard every day to achieve their goals," said Dr. Joe Dobrinic, principal. "We believe every student deserves a great future, and we strive to prepare them for college and careers in a world that's constantly changing." Pattonville High School earned recognition as a national Project Lead The Way (PLTW) Distinguished School in 2017-2018 for providing broad access to transformative learning opportunities for students through PLTW biomedical science, computer science and engineering courses. Pattonville is one of just 133 high schools across the U.S. to receive this honor. Pattonville is fully accredited by the Missouri Department of Elementary and Secondary Education and has been honored by the state for Distinction in Academic Performance Award. A, B Days: 7:23 a.m. - 2:13 p.m.
C Days: 7:23 a.m. - 1:14 p.m.
28% earned A+ status, making them eligible for two years of paid tuition to any Missouri community college or career education school. Eligible seniors can graduate with the following industry certifications: Biomedical Science (Life Science Laboratory Assistant), Certified Nurse Assistant (CNA), Culinary Arts (Safe Serve) and Pharmacy Technician. Pattonville High School is home to a number of co-curricular and extracurricular activities for boys and girls. 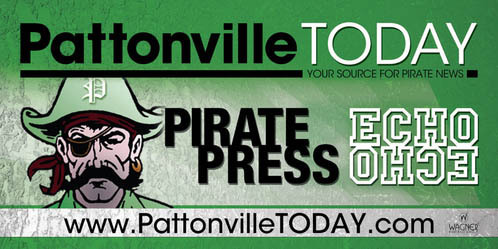 For more information,visit Pattonville’s activities and athletics website at pirates.psdr3.org. The school also hosts a number of family activities, including college planning seminars, Homecoming, honors assemblies, fall play, spring musical, band/orchestra/choir concerts, boys and girls athletic contests, “Taste of Pattonville,” variety show and more.